With some of the country’s largest annual harvests about to commence and the need for agricultural workers more pressing than ever, the Australian federal government has announced changes to two visa programs in an effort to better support farmers and regional communities. The Working Holiday Maker (WHM) program will soon have some of its restrictions relaxed. From July 2019, visa holders (from subclass 417 and 462) will be able to stay in the country for up to three years – provided they complete six months of regional agricultural work during their second year. The Australian government is also allowing WHM visa-holders to work for the same employer for 12 months in response to increasing agricultural work opportunities. Prior to the changes, Working Holiday Maker (subclass 462) visa-holders were only able to complete their regional days in Northern Australia. The new changes have opened up additional locations in Southern Australia that count towards the regional total. This gives farmers an easier pathway for recruiting agricultural workers and will boost the economies of regional communities outside of Northern Australia. Increased numbers of workers across the country will be hugely beneficial for farmers, who will be able to achieve better continuity with crops and reduce the expense of training new workers. According to the Department of Home Affairs, a total of 210,456 WHM visas (subclass 417 and subclass 462) were granted in 2017-18. As at 30 June 2018, there were a total of 134,909 WHM visa-holders in Australia. These are significant numbers that are expected to grow with the introduction of the visa changes later this year. Backpackers have been a staple in agriculture recruitment for decades. By providing more flexibility and a greater scope for working and travelling across the country, the Government hopes these WHM visa-holders will be attracted to regional areas that were previously off limits. 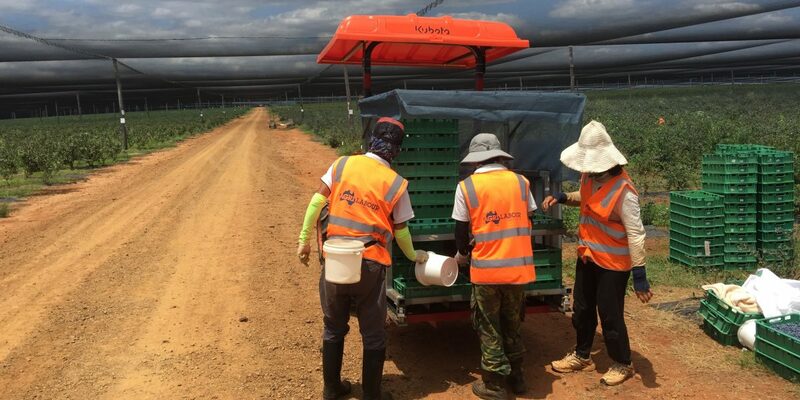 The Seasonal Worker Programme (SWP) also underwent changes to increase the permitted work period from six to nine months and reduce out-of-pocket expenses for employers, making it a more attractive recruitment option overall. Agri Labour Australia fully welcomes these changes, which enable us to more efficiently provide our clients with solutions to their agricultural worker needs in all regions of Australia.